The SLETP academy is a mixture of classroom work and “field” training. Training is based out of the Cramer building on the Rangely campus and utilizes various field training environments around the area for training applications. The CNCC SLETP has its own Firearms Range, to include a Firearms Training Simulator (FATS) for use of deadly force and other training scenarios. Our classes can accommodate up to 24 trainees. 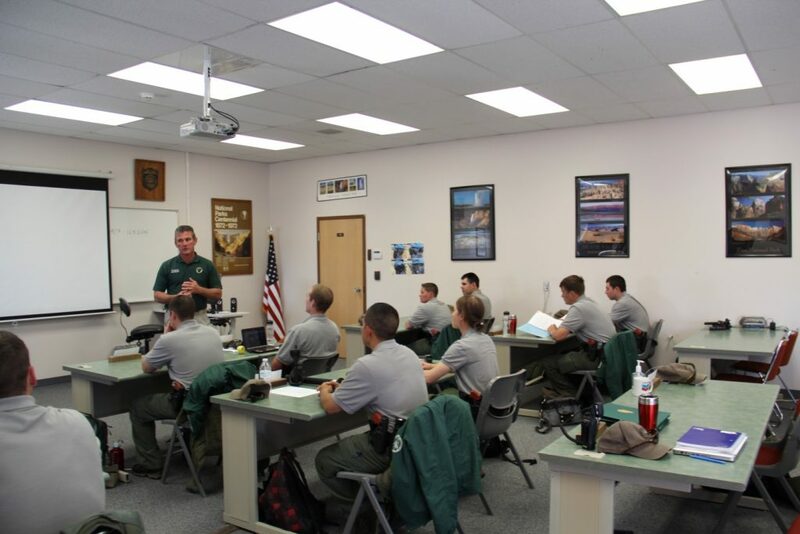 Classroom subjects cover the broad spectrum of law enforcement duties and responsibilities to include Legal, U.S. Constitution, code of federal regulations, interviewing, report writing, behavioral science, traffic investigations, firearms, use of force, crime scene investigations, archeological and natural resource law and protection, and other subjects which are reinforced through labs and practical exercises throughout the training program.